Dr. Liechty is a Professor at the Smeal College of Business at Penn State University and has extensive experience developing solutions for top Investment Banks and Marketing Research firms. He is an expert in derivative pricing and asset allocation, computational statistics and high performance computing, and marketing research. He has extensive experience in organizing and leading research efforts and has experience in creating production level pricing and analysis systems.He has consulting extensively for top Investment Banks, including Morgan Stanley and Goldman Sachs, helping develop models and parallel computing software solutions for calibrating basket, credit derivatives and statistical based trading strategies. He has also helped lead software development efforts at In4mation Insights, a quantitatively focused Marketing Research firm, where software for leading edge marketing research models were integrated into a high performance/parallel computing platform. In addition, he is a founding member and a leading organizer of an effort that is calling for legislation which will provide better data and analytic tools for the regulatory community in order to safeguard the U.S. financial system - see www.ce-nif.org. 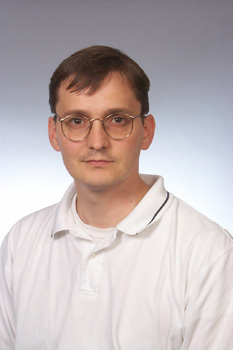 Dr. Liechty has a PhD from the Statistical Laboratory at Cambridge University. This course is designed to meet the entry statistical requirements for any course in the Smeal M.B.A. Program, as well as to provide job applicable skills across the entire business portfolio. Conceptual understanding of statistics through both numerical and applied approach. This course focuses on two aspects of Bayesian Statistics: hierarchical model building and inference using the Markov chain Monte Carlo algorithm. Introduction to customer behavior and research, service/product development, pricing and promotion in diverse and international marketing contexts. Ebbes P., Liechty J. C., Grewal R., "Attribute Level Heterogeneity." Management Science, vol. 61, no. 4, 2015, pp. 885-897. Tibbits M. M., Groendyke C., Haran M., Liechty J. C., "Automated Factor Slice Sampling." Journal of Computational and Graphical Statistics, vol. 23, no. 2, 2014, pp. 543-563. Allenby G. M., Bradlow E. T., George E. L., Liechty J. C., McCulloch R. E., "Perspectives on Bayesian Methods and Big Data." Customer Needs and Solutions, vol. 1, no. 3, 2014, pp. 169-175. Liechty J. C., "Regime Switching Models and Risk Management Tools." The Handbook of Systemic Risk, (Cambridge University Press), 2012. Eds. JP Fouque and Joseph Langsam. Liechty J. C., Foster R., "Financial Hurricanes." Significance, 2011. Cheng W., Costanzino N., Liechty J. C., Mazzucato A. L., Nistor V., "Closed-form Asymptotics for Local Volatility Models." SIAM Journal on Fiancial Mathematics, vol. 2, 2011, pp. 901-934. Liechty J. C., Liechty M. W., Muller P., "MCMC for Constrained Parameter and Sample Spaces." Frontier of Statistical Decision Making and Bayesian Analysis, 2010. Liechty J. C., Liechty M. W., Harvey C. R., "Parameter Uncertainty and Asset Allocation." The [Oxford] Handbook of Quantitative Asset Management, (Oxford University Press), 2010. Tibbits M., Haran M., Liechty J. C., "Parallel Multivariate Slice Sampling." Statistics and Computing, vol. 21, no. 3, 2010, pp. 415-430. Harvey C. R., Liechty J. C., Liechty M., Muller P., "Portfolio Selection with Higher Moments." Quantitative Finance, vol. 10, no. 5, 2010, pp. 469-485. Mendelowitz A. I., Liechty J. C., "New Tools Mean Regulations Will No Longer Be Flying Blind." Financial Times, 2010. Liechty J. C., Liechty M., "The Shadow Prior." Journal of Graphical and Computational Statistics, vol. 18, no. 2, 2009, pp. 368-383. Mendelowitz A. I., Liechty J. C., "Financial Regulators Need Better Data." American Banker, 2009. Liechty J. C., Harvey C., Liechty M., "Bayes vs. resampling: A rematch." Journal of Investment Management, vol. 6, no. 1, 2008, pp. 29. Liechty J. C., Netzer O., Toubia O., "Beyond Conjoint Analysis: Advances in Preference Measurement." Marketing Letters, vol. 19, no. 3, 2008, pp. 337-354. Harvey C. R., Liechty J. C., Liechty M. W., "Comments on Bayes vs. Markowitz: a Rematch." Journal of Investment Management, vol. 6, no. 2, 2008, pp. 1-2. Liechty J. C., Chakravarty A., Ding M., Liechty J., "Counting chickens before the eggs hatch: Associating new product development portfolios with shareholder expectations in the pharmaceutical sector." International Journal of Research in Marketing, vol. 25, 2008, pp. 261-272. Liechty J. C., Fong D., Huizingh E., De Bruyn A., "Hierarchical Bayesian Conjoint Models Incorporating Measurement Uncertainty." Marketing Letters, vol. 19, 2008. Liechty J. C., Wedel M., Pieters R., "How Goals Influence the Time Course of Eye Movements Across Advertisements." Journal of Experimental Psychology: Applied, vol. 14, no. 2, 2008, pp. 129-138. Liechty J. C., Lilien G. L., DeBruyn A., Huizingh E., "Offering online recommendations with minimal customer input through conjoint-based decision aids." Marketing Science, vol. 27, no. 3, 2008, pp. 443-460. Desarbo W., Liechty J. C., Park J., "A hierarchical bayesian multidimensional scaling methodology for accommodating both structural and preference heterogeneity." Psychometrika, vol. 73, no. 3, 2008, pp. 451-472. Lin D. K., McDermott J., Babu G., Liechty J. C., "Data Skeletons: Simultaneous Estimation on Multiple Quantities Massive Streaming Datasets with Applications to Density Estimation." Journal of Statistics & Computing, vol. 17, 2007, pp. 311-321. Liechty J. C., Fong D., Desarbo W., "Dynamic Models with Individual Level Heterogeneity: Applied to Evolution During Conjoint Studies." Marketing Science, vol. 24, no. 2, 2005, pp. 285-293. Desarbo W., Fong D., Liechty J. C., Coupland J. C., "Evolutionary Preferences/Utility Functions: A Dynamic Perspective." Psychometrika, no. 70, 2005, pp. 179-202. Finalist for Paul Green Award and Finalist for William O'Dell Award. Finalist for John D.C. Little Award. 27th Annual GfKl Conference, University of Cottbus. Daniel Baier, Klaus-Dieter Wernecke (eds. ): Innovations in Classification, Data Science, and Information Systems. Springer-Verlag, Heidelberg-Berlin..
Wedel M., Pieters R., Liechty J. C., "Evidence for Covert Attention Switching From Eye-Movements: Reply on Commentaries on Liechty." Psychometrika, vol. 68, no. 4, 2003, pp. 557-562. Liechty J. C., Lin D. K., McDermott J. P., "Single-pass Low-storage Arbitrary Quantile Estimation for Massive Datasets." Statistics and Computing, vol. 13, no. 2, 2003, pp. 91-100. Liechty J. C., Ramaswamy V., Cohen S., "Choice Menus for Mass Customization: An Experimental Approach for Analyzing Customer Demand with an Application to a Web-based Information Service." Jounral of Marketing Research, vol. 38, no. 2, 2001, pp. 183-196. Liechty J. C., Roberts G. O., "Markov Chain Monte Carlo Methods for switching Diffusion Models." Biometrika, vol. 88, no. 2, 2001, pp. 229-315.